BHAMY V. SHENOY writes from Houston, Texas: Hundreds of crores of rupees have been spent on it. Millions of Indians have stood in queues and registered themselves for it. One of India’s biggest corporate heads has staked his all for it. Now, the parliamentary standing committee on finance (SCF) has found problems, big problems, with Nandan Nilekani‘s unique identity project, Aadhaar. To be sure, even before the publication of the parliamentary panel’s report, there was plenty of opposition to Aadhaar. Civil liberites activists asked searching questions on its constitutional status, its core objectives, its intrusion of privacy, and its benefits. Sections of the media were not far behind. Now that trickle of criticism has become a torrent. It is understandable why the political class would oppose Aadhaar; they stand to lose the most. But one expected the NGO movement, especially the consumer protection and rural/slum development oriented NGOs, to show more support to Aadhaar. These NGOs are familiar with the rampant corruption in the implementation of various government welfare measures and Aadhaar was conceived to help solve the problem. The parliamentary standing committee report on finance has not advanced any new arguments or rationale to support the opponents of Aadhaar in opposing the conceptualisation and execution of the project. However critics have used the opportunity to put some old poison into a new bottle to kill Aadhaar by selectively quoting from the SCF report. Not much has been discussed about the fact that there were three MPs who dissented with the majority opinion. While it is good news that there was no political infighting in drawing up the SCF report, the bad news is that the very political class that is showing extraordinary interest in fighting corruption has thrown away a foolproof weapon provided by Aadhaar to reduce graft. Only the self-interest of politicians can be driving force behind such rare political unanimity! But Aadhar needs to be supported. Here are my nine reasons for supporting Aadhaar. 1. Aadhar can plug massive misuse of subsidy: There is not one kind or encouraging word mentioned in the SCF report on how Indian society can use Aadhaar to deliver several welfare measures approved by the parliament to the poor of India. This is because it is the political class which is the biggest beneficiary of black money generated by diverting PDS kerosene and residential LPG as well as from the misuse of several welfare measures like the national rural employment guarantee scheme (NREGA), etc. I had predicted that politicians would try to kill Aadhaar in a research report, Lessons learned from Attempts to Reform India’s PDS Kerosene Subsidy which I had for Global Subsidy Initiative. It is a well known fact that there is a large amount of diversion of PDS kerosene to the black market and also to blend with petrol and diesel. The same is true in the case of highly subsidized residential LPG (which is a welfare measure of sorts for the rich and the middle class). What is not often discussed or highlighted is the amount of black money generated by these illegal activities. Actually this is the mother of all corruption, generating more than Rs 45,000 crore per year. This scam is shockingly far larger than 2-G scam. Since the amount is shared from top to bottom, the wily political class is not interested in supporting a project which will result in killing the golden goose. Only recently the research on the misuse of subsidy is bringing such facts to public attention. 2. Aadhaar does not need Parliament’s approval: Aadhaar is a tool to deliver welfare measures: Therefore it does not require approval from the parliament. Once a welfare programme like PDS kerosene, subsidized food, NREGA, access to high-tech facilities are approved by the government, is there a need for the executive branch to get approval as to how best to deliver such programs with minimum leakage? Let me give an example of how the political class killed an efficient system of delivering PDS kerosene in Karnataka. In the mid 1990s, at the suggestion of Mysore Grahakara Parishat (MGP), the Karnataka government had implemented a “coupon” system to ensure minimum diversion of PDS kerosene in Mysore. It was so successful (dealers used to wait for consumers to come and buy their quota which was unheard of), that the government wanted to expand it to the whole state. However the dealers and all the political parties managed to kill the project, not just in the State but outside too. At the suggestion of the Planning Commission, a few states introduced a smart card system to streamline PDS kerosene. Did any one raise an objection claiming it is unethical for the government to adapt it without getting the approval of the legislature? Looks like history seems to be repeating itself the case of Aadhaar at the national level. 3. Aadhaar does not compromise privacy: Critics of Aadhar have raised the bogey of privacy. This is totally irrelevant as an issue. An application for a driver’s license demands a lot more information than Aadhaar. Voters’ lists, provided to any one who asks for it, also have a lot more information on citizens than Aadhar. Private agencies which help Indian embassies to process passports handle a lot more information. Has any one raised privacy questions? So why the hue and cry over Aadhar? Many US Supreme Court findings (eg Schmerber v CA,384 US 757, 1966; US v Dionisio, 410 US 1, 1973) imply that the use of biometrics does not invade an individual’s civil liberties or privacy. The Supreme Court of India has instituted a committee under the chairmanship of a former judge to look at PDS. The Justice Wadhwa report has suggested a computer-based information system as well as the use of biometric smart cards to reduce leakages. 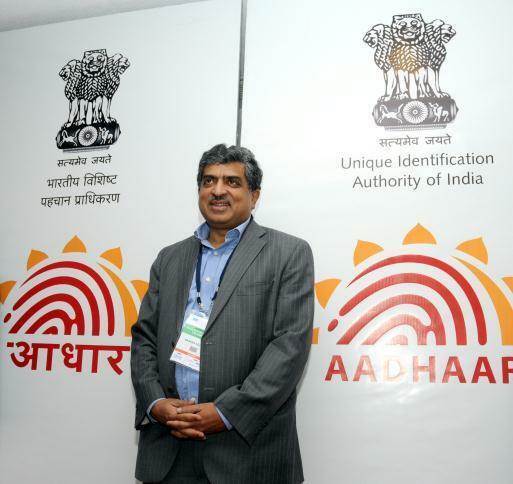 The committee was, in fact, recommending an Aadhaar type programme even before Nilekani was entrusted with that task. Why did the SCF fail to take into consideration the critical recommendations of a Supreme Court instituted committee which is also as mindful of privacy as any expert or activist? 4.Biometric technology is OK: Many including the SCF have pointed out the inherent problems of the biometric technology in accurately identifying individuals. But the truth is that the young technology, provides adequate accuracy and is in fact advancing rapidly. While the government has admitted that accuracy may be no more than 1%, it has also suggested that there are in-built safety mechanisms not to deny any legitimate person the assistance approved by the government. According to UK’s National Physical Laboratory, the probability of a false negative ( person not being recognized) using biometric is 1 out of 10,000. The probability of false positive is even order of magnitude less (1 out of 1,000,000). As far back as 2003, NPL had accepted the feasibility of using biometrics (finger prints or iris) for identification of all UK individuals. A report published by International Telecommunication Union in 2009should remove any doubt people may have about the use of biometric tool for individual identification. 5. Aadhaar is ahead of its time: SCF has cherrypicked the UK example to argue that Aadhaar may not work because the UK decided to drop their national ID card. Why didn’t SCF discuss examples of several countries like Brazil, Australia, US and others where biometric based cards/documents are in use? There are many similarities between the social security number system in the United States and Aadhaar in India. A country like the US where privacy issues, human rights, etc are high on the agendas has not found any problem. Aadhaar is really a more sophisticated concept of SSN of the US. If the US were to implement SSN now, more than likely they would have also developed a scheme like India’s Aadhaar. SSN is given to any legal resident of the US and so also Aadhaar. SSN has not created any security issue. The same will be the case with Aadhaar. It can be argued that India has leapfrogged the USA by implementing Aadhaar. 6. Aadhaar has no security issues: Some critics have tried to create a scare by suggesting that Aadhaar should be treated as a national security issue though the parliamentary standing committee did not discuss Aadhaar directly from that point of view. In today’s networked society, there are so many data bases which should be of much higher priority in terms of national security than a data base containing biometric information on residents of India. On the other hand it can be argued that Aadhaar data base may serve the purpose in getting information on terrorists. In some countries there are proposals to use biometric data bases to monitor the movement of terrorists. By being creative and through building enough safety features Aadhaar could make it very difficult for anyone to access Aadhaar data while it can serve the national security purpose by identifying terrorists. 7. Aadhar’s benefits outweigh its costs: It was shocking to find SCF referring to some newspaper article quoting a high cost figure of Rs. 1,50,000 crore while the total budget request of UIDAI is for about Rs. 12,000 crores for three phases. The savings generated by using Aadhaar to better distribute welfare measures can more than compensate its cost. Even assuming that the actual cost may be more than what is budgeted, the avoidance of black money generation from the diversion of PDS kerosene and residential LPG alone of Rs 45,000 crore per year can easily pay for Aadhaar project. In addition there is the additional money savings from improved welfare delivery systems like food, fertilizer, MNREGA etc for which Aadhaar can be used. When SCF took the opportunity to scare the readers by quoting an unsubstantiated cost figure of 1,50,000 crores, it did not take any effort to find out the potential savings from the use of Aadhaar. A recent Karnataka’s Lokayukta report estimated that the misuse of food subsidy alone costs more than Rs 1,740 crore per year for Karnataka. 8. Failure of bureaucracy cannot be held against Aadhaar: It is true that coordination between different departments of the government who are the stakeholders (Planning Commission, Registrar General Of India, Election Commission, Ministry of Rural Development, Ministry of Urban Development, State Governments) has not been satisfactory. It is also true that there has not been proper planning or coordination between different users of Aadhaar or agreement on using it for deriving maximum benefits out of it (NPR, MGNREGS, BPL,census, UIDAI, RSBY, and bank smart card). The fact that the bureaucracy has failed or the government machinery has not done its job in coming with an efficient ways of making use of a new technology like Aadhaar should not reduce its usefulness. It is also true that prior to taking up a major project like Aadhaar, UIDAI should have conducted a cost benefit analysis and looked at all different alternatives. Unfortunately it failed. Instead of taking a positive view of the study done by Ernst & Young, SCF was critical of it to send back the bill. The study did show that among all different alternatives Aadhaar is the best. Instead of making positive recommendations to improve the inner workings of the government department in exploiting a tool like Aadhaar , to throw doubts on the efficacy of Aadhaar is doing a disservice to the country. A high level committee consisting of elected representatives can be expected to take an unbiased view of a new initiative like Aadhaar. SCF report unfortunately is biased. The committee report quotes opinions of only the experts who are critical of the project. Did they try to find at least one expert who is in favour of the project? 9. Parliamentary committee raises irrelevant or inconsequential issues: There are several nit picking issues raised against Aadhaar in SCF to question its usefulness. For example is Aadhaar mandatory or not? For those who do not want to avail themselves of welfare assistance it is not mandatory. Human rights and privacy activists should appreciate such a position. Is ration card mandatory today? It is not. However for those who want subsidized food items or PDS kerosene it is mandatory. Is there any thing wrong in imposing Aadhaar on the beneficiaries to ensure there is no leakage? Aadhaar can definitely serve to identify but not as a proof of address. Is there any thing wrong with that. Can driver’s license issued many years back or old water/telephone/electricity bills serve as address proof? The same is true with Aadhaar. Aadhaar is only to serve as identify from the beginning and not serve any other purpose. Only with the purpose of throwing aspersions of Aadhaar these nit picking issues are raised. It is very unfortunate that the staff of SCF has not done a creditable job in advising its members of the real issues. There is nothing wrong in sending back the bill if only they had done an unbiased review and ended with some specific recommendations to make better use of Aadhaar. Let us not throw baby with the bath water. The parliamentary committee argued convincingly that UIDAI has failed to do a better job of coordinating with different departments, failed to carry out proper cost benefit analysis prior to starting of the project and failed to have a well laid out plan to exploit the application of Aadhaar for different uses. But none of this can lead to dropping or even worse killing Aadhaar as many have assumed. If the committee had taken an unbiased view its conclusion would have been far more positive putting India on a different trajectory to fight corruption in a big way. Just like the Lokpal can help reduce corruption, proper and well planned use of Aadhaar can reduce corruption and have transformational impact. Arvind Kejriwal who has fought against corruption in PDS should convince Anna Hazare to support the government in moving ahead with Aadhaar. Just like Lokpal, Aadhaar has all the potential to be a game changer. CHURUMURI POLL: Has Nandan trounced NRN? This entry was posted in Issues and Ideas, IT-BT, IIT-IIM and tagged Aadhaar, Anna Hazare, Arvind Kejirwal, Bhamy V. Shenoy, Churumuri, Infosys, MGP, Mysore Grahakara Parishat, Nandan M. Nilekani, NREGA, Parliament Standing Committee on Finance, Sans Serif, SCF, UID, UIDAI. Bookmark the permalink. Another form of identification will eliminate pilferage,corruption in welfare schemes? Nice try. And point no. 8 shouldn’t be used to argue for Aadhaar also isn’t it? A lot of goodish reasons, none convincing. There is no guarantee Aadhar will plug leakages. This project is a never-ending drain. Oh and theLokpal won’t be able to “help reduce” corruption, at least not much. Aadhar must be continued. Many countries have adopted citizen number system by issuing ID cards, which has facilitated administration, put check on outsiders staying in their countries unauthorisedly, and check corruption and misuse of government support. As the article notes, the “representatives” have spoken. It is a farce exercise. The procedure is so slow that the day will never come when all would have got AADHAAR. The growth of the population is much faster than the system. Just a waste of money. I registered 3 months back after lot of formalities like a true Citizen of India, and I am yet to get the card. Mr Nandan oh sorry adhaar wants cost extension and importantly does not want to be under planning commission . Now well well why does it wants to do that !!! AADHAAR is essential to root out corruption at the common man’s level. It is necessary to give cash directly to the poor people .. straight into their bank accounts. People who don’t want govt subsidies (esp the rich people) can keep out of AADHAAR. It’s not mandatory. The author *must* address the points raised by the Standing Committee, which I believe are perfectly valid. Instead the author dismisses those points as ‘irrelevant’ and goes on parroting what was said about UID 3 years back. In its current form, even a Pakistani or Bangladeshi national can get a UID card & settle down in India. Or someone even can hold multiple UID cards !! NO FEASIBILITY STUDY: No comprehensive feasibility study — including cost-benefit analysis, comparative costs of aadhar number before approving such an expensive scheme vis-avis various forms of existing identity such as hologram-enabled ration card to eliminate fake and duplicate beneficiaries — carried out. APPROVED IN HASTE: Absence of data protection law would make it difficult to deal with issues such as access and misuse of personal information, surveillance, profiling, linking and matching of data bases and securing confidentiality information. SECURITY GAPS: Entrusting the responsibility of verification of information of individuals to the registrars to ensure that only genuine residents get enrolled into the system may have far-reaching consequences for national security. The panel not sure as to whether complete verification of information of all aadhaar number holders is practically feasible and whether it would deliver the intended results without compromising national security. DIRECTIONLESS: The UID scheme has been conceptualised with no clarity of purpose and is being implemented in a directionless way and may end up being dependent on private agencies. UNRELIABLE TECHNOLOGY : The scheme is full of uncertainty in technology as the complex scheme is built on untested, unreliable technology and several assumptions. Despite adverse observations by the UIDAI’s biometrics standards committee on error rates of biometrics, the UIDAI is collecting biometrics information. LIMITED COVERAGE: It is not clear that the UID Scheme would continue beyond the coverage of 200 million of the total population. The exercise could become futile in case the government does not give further mandate. LACK OF COORDINATION: Serious differences of opinion within the government on the UID Scheme. The Department of Expenditure, ministry of finance, has expressed concern that lack of coordination among at least six agencies collecting information –National Population Registry, MNREGS, BPL Census, UIDAI, RSBY – is leading to duplication of efforts and expenditure. Below are my ans. If want more clarification can be discussed with different experts AND experienced people. 1. Aadhar can plug massive misuse of subsidy! Dr. Balu who have Lokayukta investigator and have submitted his famous report on PDS scam in Karnataka. They give your ration to some one else. It happens in most of the cases where person is not much bothered about subsitized food grain. Like in Rishikesh in my family hardly they take ration (sugar etc.). so leakage is possible from there. But this is also possible with consumer number. There is no need of new ID. 2. Aadhaar does not need Parliament’s approval! Now bill has been rejected by standing committee. So is not it a game!! There is a case on going in Bangalore court. Let court decide. 3. Aadhaar does not compromise privacy! Right now Aadhar does not ask for more data. But once its so called use case will be executed it might require. I.e. some subsidy/benefit based on cast…. Secondly there ans. Does not say anything about how data can be secure in the hand of company which board of directors are foreign spy agents. 4. Biometric technology is OK! The reference given itself is wrong because UK has rejected biometric project. Secondly expert of biometrics says for a small campus of number of people its OK. Where whole control is in our hand and less possibility can be successful. For bigger system(like a country of size of India) it has been rejected world wide. 5. Aadhaar is ahead of its time! Here the claim is Aadhar is a more sophisticated concept of SSN of the US. First SSN number guarantee many things which Aadhar does not. Second any lose due to identity theft respective authorities are liable to the user of SSN. In India there is no such clause. One side Nelakani says his work is to give ID how it can be used efficiently is on delivery system. On other side planning commission and home ministry are not OK with it. So until it is not clear who is liable how can they proceed? 6. Aadhaar has no security issues! Nowhere in ans. It is maintained that how data can be secure in the hand of company which board of directors are foreign spy agents. 7. Aadhar’s benefits outweigh its costs! First of All there is no cost base analysis. Its totally on institutions and other to take it. Secondly they say they can save 120 Rs. Which takes to bank to make an ID. In that way 12000 coror require to make ID for all citizen. But already spending of 11000 corers is one the way just to cover a small section of population. 8. Failure of bureaucracy cannot be held against Aadhaar! Aadhar is under planning commission of India and if they are not able to handle such project. Why are they running it? 9. Parliamentary committee raises irrelevant or inconsequential issues! The point which blogger says silly. Actually its been proved that they are making it mandatory indirectly. There are people who do not want to take it are being force to take it. Like if I want to register a vehicle have address agreement etc. as ID proof but its made compulsory by authorities to have a Aadhar. So its directly a misuse of power. Finally the blogger even do not talk about most concerned things like involvement of L1 identity solutions and says it secure its strange and shows lake of knowledge. Technical problems aside, UID will be fought tooth and nail by all our dear leaders precisely because they are going to face problems with their multiple “sources” of income. This will be the response by our leaders against any system that tries to bring in financial accountability. M working in AADHAAR as a (verifier) and m found that people in Delhi was totally NIL abt AADHAAR card. So. Our govt. should help to promote AADHAAR in dynamic phase. I don’t think intrinsically Adhaar is a bad idea. But, it can only be a good idea if it can be handled efficiently, can merge all other govt. IDs in to one, can make sure there are no duplicate IDs, also can make sure it is issued only to genuinely Indian, while ensuring the privacy of individuals won’t be lost. A tall order without fixing a few other administrative issues. Claims that, this is from Texas.. but looks like from a remote village some where in bihar! Who lacks understanding of any sort of ground realities. A 10th grader? Well search Google for “practical risks of aadhaar/uid project” and learn more. This scheme may succeed if the work is handled by a American/European/Japanese/Korean company or entity. They can give some kickbacks and throw some non-essential support work to Indian IT companies and make some of the interested parties happy. Expecting our buffoons to make this work on their own is stupidity. From the beginning this scheme has been touted as something that would revolutionize distribution systems in India. While this might be a great idea in concept, the fact that no proper feasibility study was conducted and the possibility of security holes should make the stakeholders take a closer look. Great idea.. We should handover all our identification/biometric data to Americans/Europeans/Japs etc. The article by Sri . Bhamy V Shenoy titled “Nine reasons why we should support Aadhaar” yet another example of how unfounded the arguments for AADHAAR are. The author criticizes the media which has now began to come out with studied opinions on the project. He also finds fault with the NGOs that are reluctant to support Aadhaar which will solve the problems of corruption and leakages in welfare schemes that they are confronted with in their day to day activities. Further he accuses the Parliament’s Standing Committee on Finance (SCoF) of throwing the baby out with bath water. He is right in pointing out that the SCoF has not advanced any new arguments or rationale to oppose aadhaar. But is does not mean that the arguments are irrelevant. Rather it reveals the failure of Unique Identification Authority of India (UIDAI) in addressing the concerns and defending the project though they had a prior knowledge of the questionnaire they would need to answer. It was the nature of the project form the very beginning shrouded in a fog of silence, impudence, ignorance and opacity. On the Dissent notes in SCoF Report. The author who complaints about the media of selectively quoting the SCoF report and ignoring the dissent note should read the report once. The report in its concluding section (observations / recommendations) lists out its opinions clearly and nowhere in that we can find even a single line justifying the Project. The real criticism should have been on the unsuspecting complaisance the media shown in initial stages of the project by ignoring the concerns raised by eminent personalities. It also seems that the author has no idea what the dissenting MPs (only 3 of the 34 member committee) wrote in their notes of dissent. Let’s examine one by one. He does not have any reservations on all the 12 paragraphs that raises concerns on the UID but suggests “deleting” the 13th and concluding paragraph that asks the government to come forth with a new legislation, citing no reasons. the thing is clear, he dissented because of “ignorance”. Manicka tagore could not attend the meeting on adoption on draft report and citing no arguments to counter the observations in the report, simply reiterates the claims by the UIDAI about plugging leakages and corruption in welfare schemes expresses dissent. Aadhaar can plug massive misuse of subsidy	•	Corruption and leakages in welfare schemes like PDS occur not mainly from ghost IDs but from structural, operational and administrative inadequacies. •	Much of the diversion takes place not at the fair price shops with bogus ration-cards but at upper layers of supply chain. UID cannot solve this. Better and cheaper ways like GPS tracking of supply vehicles (as successfully implemented in Tamil Nadu) would be a good option. •	Aadhaar cannot ensure the proper targeting of subsidy for it ensures only identity not eligibility. Aadhaar does not need Parliament’s approval	The executive cannot do what it pleases in relation to infringing constitutional rights and protections for the reason that only Parliament and legislatures have the power to make law on the subject. If it does not need parliament’s approval why NIAI Bill was then mooted? Aadhaar does not compromise Privacy	Application of Driver’s Licence and Passport are significantly different from Aadhaar. No agency has a large database comparable to UIDAI. None of the details are expected to be universal and ubiquitous. This kind of data collection without an enabling law will surely run the risk of data abuse, misuse and theft. Especially so in the absence of Data Protection laws. Involvement of Private agencies with no experience or field knowledge or sufficient staff would aggregate the risk for they subcontract the job to others. The UIDAI doesn’t even know who is collecting what all data from whome. The so called ‘registrars’ what-all-information-they-want from the residents. Biometric Technology is OK, UK’s National Physical Laboratory says the error rate is only 1 out of 10,000	If biometric de-duplication is possible by current technology and equipments, why doesn’t the NIST of the US certify that? L1 Identity Solutions does not possess any certification for this large scale application. “For purpose of NIST PATRIOT Act certification this test certifies the accuracy of the participating systems on the datasets used in the test. This evaluation does not certify that any of the systems tested meet the requirements of any specific government application.” This is what NIST say. Citing impracticability, the bio-metric ID system proposed by 10 major B-schools in the world was abandoned. As Professor Davis Moss of London School of Business pointed out the error rate predicted by the Proof of the concept report of the UIDAI (0.0025%) itself would require 18,000,000,000,000 manual checks for de-duplication. A paper by Mr. James L Wayman (Office of graduate Studies and Research, San Jose University, San Jose, USA), Mr. Antonio Possolo (Chief, Information Technology laboratory, statistical engineering Division, NIST, USA), Anthony J Mansfield (National Physical Laboratory, Teddington, U K) titled “Fundamental issues in biometric performance testing: A modern statistical and philosophical framework for uncertainty assessment” shows that the uncertainty associated with biometrics is too huge that it could be hardly considered as a science in the conventional sense. If NPL study predicted 1/100000 error rate Mr Shenoy should show the intellectual honesty to add the details like the number of people in the database, the nature of data, number of unclear biometric data involved, physical condition at which the test was conducted. Because without such a statistical control, we cannot extrapolate the result of a test to larger models. And in case of biometrics we can never achieve that statistical control. The national research Centre (NRC) of the US says biometrics is “inherently fallible”. London School of economics’ study on UK ID project found biometrics untested, unproven and unreliable. SCoF cherry picked UK ID project to criticize aadhaar. It is not the SCoF that cherry picked UK ID. Wipro Infosystems has in their Vision Document for UID mentioned UK ID in 2006 in support of AADHAAR. It is not the SCoF’s fault that the UK abandoned the project. AADHAAR is like Social security Number (SSN) of the US	SSN is completely different from aadhaar. It doesn’t collect biometrics or any sensitive details. It just relates a number to a name. The real comparison should have been between the Real I D Project 2005 abandoned by the US. Also remember Australia abandoned their national biometric ID project Australia Card. Parliamentary standing committee did not discuss the point	The committee has expressed concern over the implications of the Project Aadhaar on national security. The committee is “The Committee are unable to understand the rationale of expanding the scheme to persons who are not citizens, as this entails numerous benefits proposed by the Government” “This will, they apprehend, make even illegal immigrants entitled for an aadhaar number”. The committee especially is concerned about the efficacy of introducer system on national security. As opined by many the introducer system could result in many anti-national and anti-social elements acquiring aadhaar numbers on false addresses. The committee has also noted that the Ministry of Home affairs has expressed concern over the methodology data collection, reliability and security of the data and the chances of fraud. Aadhaar’s benefit does not outweigh costs	The author lashes out at the SCoF for quoting the cost of the project as 150000crores. He should understand how UK ID project was found to be economically unfeasible. The cost of the project is recurring in nature. Every year enrollments have to be done for ‘new comers’. The cost of equipments for a single enrollment centre is close to 3lakh (as reported by The Hindu). Then consider the money required for installing biometric readers in every point of service provision (there are over 4.5lakh fair-price shops in India). Do the author believe that the 45000crore black money arise from ghost identities? In fact Aadhaar cannot do anything to curb high level fraud. Failure of Bureaucracy cannot be held against AADHAAR	True. But this cannot be an excuse for launching a project without required formalities. The committee notes that “(a) no committee has been constituted to study the financial implications of the UID scheme; and (b) comparative costs of the aadhaar number and various existing ID documents are also not available. The Committee also note that Detailed Project Report (DPR) of the UID Scheme has been done much later in April, 2011. The Committee thus strongly disapprove of the hasty manner in which the UID scheme has been approved. Unlike many other schemes / projects, no comprehensive feasibility study, which ought to have been done before approving such an expensive scheme, has been done involving all aspects of the UID scheme including cost-benefit analysis, comparative costs of aadhaar number and various forms of existing identity, financial implications and prevention of identity theft, for example, using hologram enabled ration card to eliminate fake and duplicate beneficiaries.” How can a government approve a sum over Rs.3000 crores for a dubious project, without a benefit analysis study and the approval of the parliament? Author speaks about the Ernst & Young Project Report on UID but cunningly hide the fact that the report was made two years after the project report. How can you justify the fact that a project was allowed to start without even a detailed project report? To Mr. Shenoy the question whether Aadhaar is mandatory irrelevant. But for the rural poor who faces risks of financial exclusion this is a question of utmost importance. Comparing ration card with aadhaar is insanity. some good points have been raised by some of the participants in this discussion. I will try to respond to most of them and in case I miss I shall try the next round. First of all I am from a village. But it is not in Bihar. It is a small town Bantwal near Mangalore. I also happen to have worked as an NGO activist trying to expose corruption in PDS kerosene from a village level to the national level. I have also worked in different parts of the international in oil industry and have succeeded in exposing corruption in oil industry. Successfully promoted fighting against corruption in oil sector in Georgia, a former republic of Soviet union and also in Kazakhstan. In India while fighting corruption, I have been threatened by oil mafia, my house has been stoned and I have also got murder threats. Thus despite being from a village I am familiar with PDS and LPG scams. I have seen the video suggested by Abhay and also been interacting with one of the speakers Mathew Thomas. I personally know Dr. Balasubramanium and studied his PDS report. In fact in the report he was also recommending a smart card backed by biometric technology. I was surprised by his comments that he is against aadhaar when he was suggesting a strategy based on IT using a data base similar to aadhaar. He was also suggesting that he is against cash transfer because it will force women to part with the cash for their husband’s drinking needs. How can be held against Aadhaar? Even today they can sell their subsidized kerosene and may have to part with the money. It is true that diversion is taking place not just at the local level but while leaving the oil depot itself since data of supplying PDS to the poor is cooked up today. A properly developed using aadhaar platform can stop such pilferage as shown here. A state which is completely electrified asks for more PDS kerosene for lighting purpose! This was brought out in a high level committee report. The same committee had also suggested that instead of giving PDS kerosene, it would be economical to give a solar lamp for lighting. No politician is agreeable to such a recommendation just like they are not agreeable to aadhaar. It is because aadahaar can be used to reduce diversion of subsidized products. As during the recent parliament debate on Lokpal bill, politicians do not like to kill the golden goose by supporting aadahaar. In fact once a system can be developed whereby any BPL family using a smart card can go to any shop and buy subsidized products (say rice, wheat, sugar, cooking oil, PDS kerosene, res LPG, ect) then most of the diversion will stop. This is exactly what politicians are afraid of. It is exactly what a Supreme Court committee headed by former justice Wadhwa has been recommending. This committee has been studying PDS in just about every state of the country. What the committee has written is a sad commentary on our corrupt PDS. In no uncertain terms they have criticized PDS shops and called it as cesspool of corruption. The committee also has concluded that those shops can never be economically viable unless they take recourse to diverting the products and indulge in corruption. It is that committee which had recommended implementing a smart card system. For such a smart card system, aadhaar will be a valuable tool. Even for a coupon system which I had suggested in Mysore and which was successfully implemented can also be made foolproof by the use of aadhaar. Some one suggested that aadhaar cannot be given to poor if they do not have address proof. That is not true. On the other hand there was criticism that any one without any proof can obtain aadhaar. Now just obtaining an aadhaar number will not bestow any benefit or citizenship. it is just a number backed up by biometrics identification. It is in this respect it is like a social security number issued to every legal resident in the USA. Having a SSN will not bestow any benefit. But without a SSN it is not possible to open a bank account or get paid in a company for any employment. The difference between SSN and aadhaar is that there the latter helps to identify a person whereas the former does not. SSN is for practical purpose is mandatory in the USA. However in India, if one is not interested in securing any BPL benefit there is no need to get aadhaar. Some have opposed aadhaar using the example of Mahatma Gandhi who burnt an ID which all Indians were expected to carry in South Africa. Aaadhaar is not like an ID which was discriminatory and mandatory. As I argued there is no privacy issue or security issue with aadhaar by any stretch of the imagination. A passport or driver’s license has a lot of data and there is a data base in India which has all that data. In what way does it compromise privacy and national security. Red flags have been raised that companies like Accenture (US ) and L-1 (now owned by a French company) are involved in aadhaar project. There are many multinationals involved in many projects (consulting, providing computer systems, developing software etc). Are they cause for national security compromise? Questions are also raised about the cost benefit analysis. Yes, UIDAI should have done such an analysis. They should have also done an extensive analysis of different ways of achieving the objectives for which aadhaar was being developed. Let us definitely criticize aadhaar for that. But without suggesting some other alternative to aadhaar, to discard it is like throwing baby with the bath water. Finally may I ask those who oppose aadhaar to suggest an alternative to reduce PDS scams? We will finally be able to identify almost each and every citizen. The benefits for law enforcement and security are beyond description. We will have pinpoint biometric identification. Point 2: it will be a single source KYC document for all your identification needs . In a country beset with terrorism, this is priority one, and has to be! These 2 points alone suffice. There is no need for a 3rd benefit! Anything else – indeed, everything else is a freebie, a bonus! And please dont say voter card- it is one of the most inaccurate documents I have seen. As to rest, I can only say one thing: if we are to go their way, we will still be arguing about it, like the Lokpal – 43 years on, nothing has been done! Idiotic! It is basic common sense that if you have the ability to target and identify each and every citizen, then this data used in coordination with other techniques can also identify who the people benefiting from various schemes are since all transactions will then be traceable till the last level. Not foolproof, but a decided improvement in tracking will be felt. That is elementary, and a moment’s thinking – unbiased thinking, mind you – and you will get it. National rollout – we dont have money for biometric readers. Ya, right. Point 1: if you dont have money, then haven’t you heard of a phased rollout? Roll it out in a few states, and then carry it forward could be one solution. Point 2: what about the money you will save on corruption tracking? i am not an expert on this topic – and if I can think of this, then so can most other people! I am frankly disgusted! @Vishal V Kale, lets assume identifying people itself is paramount. Has UIDAI come up with a good solution? I guess not. The solution proposed by UIDAI has plenty of loopholes. Please read the comments again to understand the loopholes. You plan to end terrorism with UID. How? I guess when terrorist enter the country, they will have a UID card to say they are citizens of India. They need not counterfeit the Aadhar card. All they have to do is to walk into the nearest card issuing center. True UID card can act as photo identify & address proof for KYC. This that the only reason? I already have passport which does both. Do I need UID card? What about biometric passport that has already started? How does UID compare with biometric passport? How about issuing legal passports to all citizens of India? What more benefits does UID offer over a passport? There are many ways in which aadhar can help. And a passport does not have fingerprints and iris scans; photpgraphs are not captured realtime, The UID will link a person’s Passport Number, Driving License, PAN card, Bank Accounts, Address, Voter ID, etc. and all this information will be checked through a database. So, for example, if someone has different addresses on PAN and driving license, that person is liable to get caught. Those who will opt out of this program will have much inconvenience in doing business, operating bank accounts and other offices which will require a UID. If UID can achieve what you list, then at least it can justify the cost. But in its current form, UID is nothing more than bank account form with bio-metrics thrown in. Even the aim of UID is just to give a number to a person (who ever it is). I don’t think the address is physically verified (like done by police in Passport). So UID is issued just based on some self-attested documents. I am not sure how many institutions will honor the ID issued by UID. You believe voter ID is useless. But you can get UID card just with voter ID and without getting any biometrics done ! Again there is no linking of PAN, passport, DL documents with UID !! Biometrics works well for thousands and might for few millions. Does it work for billion people? Nobody knows. Accuracy of ‘correctly’ done iris scan is 1 in a million. Accuracy is much less for fingerprints. Combining these two, given a person, can UID give that person’s number accurately? I have my doubts. On second thoughts, UID is being touted as panacea. Does the problem of this country is because of identification? The only problem UID might solve is Govt can directly credit money into bank account linked with UID number. There is no reason why Govt cannot collect bank account numbers now and credit the same money without UID. Deccan Herald has published my following article in Sep, 2011 months before the publication of the standing committee report. The following article gives some more explanation on how Aadhaar can facilitate the reduction in PDS related scam. Let us accept the fact that there is no system in the world which can completely solve the PDS scams. Many who are critics of Indian Aadhaar quote the example of the UK’s National ID card system to argue that ours will also not work. IDs for foreign nationals. As I have been taking a stand, UK’s situation is very different than India’s. They do not have the problem of corruption that we have. PDS is the mother of all corruption and Aadhaar can go a long way in reducing it as I have argued in the following article. An interim report on improving the PDS system using Aadhaar was published in June 2011. It was developed by a committee headed by Nandan Nilekani. The interim report has been a disappointment. Those concerned with the well known corrupt PDS have been expecting a technically sound and eminently practical solution from a leading technocrat. Since its publication there has not been much discussion despite the critical need to reform PDS which is a big drain on the budget. The interim report deals only with LPG and fertiliser. It seems kerosene distribution will be taken up later. However, for the poor, LPG is less important. Also the black money generated by diverting subsidised kerosene (about Rs 28,000 crore per year) is larger than by diverting residential LPG (about Rs 24,000 crore per year). Even more surprising is the absence of oil sector scam from the long list of scams getting national attention today. The PDS scam, involving an even larger amount of money, has failed to get the attention it deserves. Diversion of PDS kerosene and residential LPG is generating about Rs 52,000 crore on an annual basis. This should make it the mother of all scams in India. When other lesser scams are associated with some well known political leaders, the oil sector scam involves thousands of politicians, bureaucrats and petty businessmen at all levels. There is no single political leader or one political party who can be blamed for the oil sector scam. Since the oil sector scam has been going on for a long time, we as a nation might have become immune to it. While exposing mafia operations in PDS kerosene, IOC officer S Manjunath in 2005 and district collector Y Sonawane in 2011 were brutally murdered. Both events became cause celebre for only a few months. Later they disappeared from the national scene. To the Indian media, oil scams are not sensational any more. It is because of these reasons that the oil scam might not have come to the national agenda. Hopefully the situation is different today. Thanks to the protest led by Anna Hazare against corruption there may be some hope that we may succeed in putting the oil sector scam on the national agenda. In recent days, there have been three major developments to give birth to such a movement. A Supreme Court-instituted committee chaired by a former Supreme Court judge, Justice D P Wadhwa, has been publishing damning reports on the rampant corruption in PDS since 2009. According to Justice Wadhwa, “PDS is synonymous with corruption whose cancerous growth should be chopped off’.” The second development is the publication of the interim report by Nandan Nilekani to use Aadhaar to improve the efficiency of PDS. The third development is a report of July, 2011 by the Karnataka Lokayukta on the dismal state of PDS in the state. According to this report, Karnataka alone loses Rs 1,720 crores per year because of the diversion of subsidised PDS food items. The Wadhwa report has suggested a computer-based information system as well as the use of biometric smart cards to reduce leakages. The committee was, in fact, recommending an Aadhaar type programme even before Nilekani was entrusted with that task. While the Wadhwa report has brought out the most inherent problems of the current PDS, all its recommendations, with the exception of the use of a smart card system, do not deal with the basic problem. It has to do with an economic system which is bound to be corrupt when the same commodity is sold at two different prices. To quote late Dhirubhai Ambani, “I do not believe in not making use of opportunities”. There are thousands of Dhirubhai-type mini entrepreneurs in India who have been making use of such opportunities created by the multiple price system. It is for this reason several countries have adapted food stamps or direct cash payment to assist the needy. When such a system is backed by a modern information technology using biometric smart cards, it is possible to reduce PDS-connected corruption to the minimum level. However, to implement such a system, we need political will. Both the Wadhwa committee and the Karnataka Lokayukta reports have brought out the facts that there are far more ration cards issued than the number of families. For example, in Karnataka, there are 12 million households and the state has issued 15.9 million ration cards. These practices can be easily stopped by using Aadhaar. The government has floated the idea of giving subsidy in the form of cash instead of goods. If implemented, such a revolutionary concept will reduce corruption considerably. The Aadhaar programme will be a great tool to avoid any duplication which will otherwise happen. Cash transfer will eliminate the need to have dual pricing system. This will result in stopping any diversion of subsidised products. For Aadhaar to succeed in reducing corruption in oil sector while distributing PDS kerosene and residential LPG, we need the following. First, there should be one price for any commodity be distributed under PDS. Multiple pricing is a sure recipe for corruption. Its a long time since you wrote your article. I had of course read it when it was published last year. Nearly a year later now after restarting the enrollments following a gap of five to six months we are able to comment on the short comings of the aadhaar rollout. Initial results of pilot studies have also come. Some of the issues that i could raise have been posted in my blog at the following address: http://kamathsir.blogspot.in/2012/10/aadhaar-roundup.html. I hope you would have some comments. Aadhar will be another of governments grandiose scheme with poorly thought out implementation. going by how voters ID card had large number of errors (male declared as female, wrong address, mis spellings etc) i dont have too much hope on getting aadhar right. Corruption has strong roots in India as the “aam aadmi” himself is corrupt; not because we lack legislation against corruption. Aadhar cannot address it. it will only change the nature of corruption at most. The author says that it will be optional, but slowly the various agencies will force it upon everyone through backdoor. a case in point is the PF board of trustees making it mandatory. Ration card too is not mandatory, but if you want a gas connection, the gas agency demands it. so, i highly doubt people who are trying to project aadhar as the silver bullet. there is no doubt lot of benefits of aadhar right from LPG subsidy, vote, fraud with multiple credit cards, bank loans etc… this is a very very good move by Govt and I am supporting this move as a citizen of India. Initial failure is there in any project..but over a period it will be successful project. In the whole article Tavleen has not been able to tell the readers what’s wrong with Aadhar scheme. She being Govt critic, is just ranting about the Direct Cash Scheme that govt launched. Pls differentiate between the Aadhar scheme and the govt’s welfare schemes that would get tied to beneficiary’s Aadhar number. The likes of Tavleen just need to step back and see what’s happening in the hinterlands and even among urban poor. Now due to this govt DCT push, banking services are making roads to rural areas and people are now able to open an bank account which until was kind of sole right of elites like Tavleen Singh. Probably that’s what she and her tribe is afraid of. These are nothing new and is just a repeat. We need only to look back 30 years and see what was initial reaction to Rajiv Gandhi’s fondness for Computers and Sam Pitroda’s push for automatic telephone exchanges? Communists were in the fore front to oppose any automation of telephone exchanges and computerization of govt work. 30 Years later, Sitharam Yechury was first MP to avail the benefit of owning laptops and Ipads. As the author Mr. Shenoy has quite well articulated the need for a unique identification for all citizens/legal residents. We have seen many such attempts in the past like Voter ID Cards, Ration card, PAN Card, DLs etc. But none of them has the attribute or features to make every subscriber/applicant unique. That’s where the present Aadhar leaps frog all of them with that basic requirement. No systems in the world is bereft of loopholes and misuse. We must be cautious but just can’t say we don’t need it. Find the loop holes in enrollment, force UIDAI to fix/close them. Find holes in the data integrity and ask UIDAI to make it more robust. Form working groups and suggest ways for UIDAI to make Aadhar 99.99% secure, full proof and trustworthy. That is the way to go, not just getting onto the bandwagons of likes Tavleen. Lets assume that AAdhar is 99.99% authentic, safe and secure, you can make use of it in ‘N’ number of places. Example, recently in the 2013-14 union budget it was revealed that only 36000 wealthy citizens (income of 1 Crore and above) file income tax. Isn’t a gross untruth? Not in govt numbers but in reality there are lakhs of citizen’s whose income crosses above this 1 crore limit who do not file taxes? But they buy high end goods, properties, Vehicles, Investment Bonds, Policies etc? Imagine if there were to be mandatory use of Aadhar number in all these transactions, believe me half of them would be forced to file their income taxes. Recently in Karnataka, all the LPG subscribers were required to produce the Electricity bill to register themselves for the availing LPG gas supply. It is reported that after the deadline, govt was able to terminate 25 lakh connections. So the avenues and opportunities for Aadhar is huge. We only have to look and find ways to use it for making accountable and transparent. Initially we would hear this nay saying, opposing ratings etc but as the work continues and systems/process mature we will end up in having robust ID system that we make use in our daily lives from School to Colleges, work to Banks, DLs to Voter ID, and the list goes on. It seems you have found new purpose for Aadhar or may be just day dreaming about UID number. One & only purpose of Aadhar number is to provide identity proof to those who don’t have it. So it is redundant number for whose who have ID proof (such as PAN, Passport, Voter ID, etc). No other purpose is planned or envisioned. Imagine if there were to be mandatory use of Aadhar number in all these transactions, believe me half of them would be forced to file their income taxes. Why UID number, why can’t they make PAN number mandatory for these transactions? It is reported that after the deadline, govt was able to terminate 25 lakh connections. This was based on ration card & RR number, which are already existing evidences. How UID number of individuals help to find out illegal LPG connections? How are they even linked? Being a proponent of Aadhar, when do you think Emmigration/Immigration will accept UID number in lieu of Passport? Or Income Tax dept in lieu of PAN number? Or RTO instead of DL?